Give your home its own domain name! At Liz Moore & Associates, each of our listings has a distinct URL address, which we feature on a custom sign rider in neighborhoods where that is allowed. Try it at www.lizmoore/youraddress. This enables prospective buyers driving by to follow up online and see all of the photos, virtual tours, neighborhood and school info, payment calculators, etc. 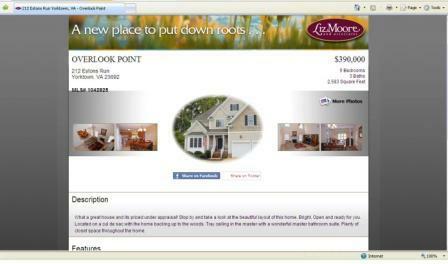 This entry was posted in Online Marketing and tagged individual domain, property websites. Bookmark the permalink.